Boo was so excited he jumped as high as the banner! 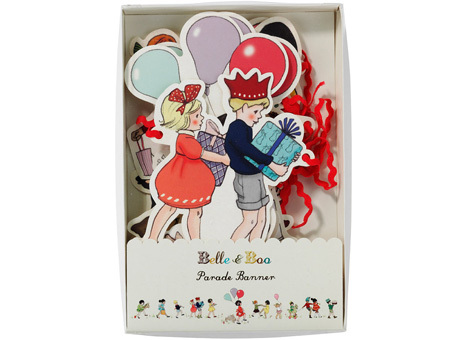 A beautiful birthday banner with cut-out shapes of the Belle & Boo children. 3m in length. Perfect to decorate the party venue.